… it’s a cute chicken photo, instead. 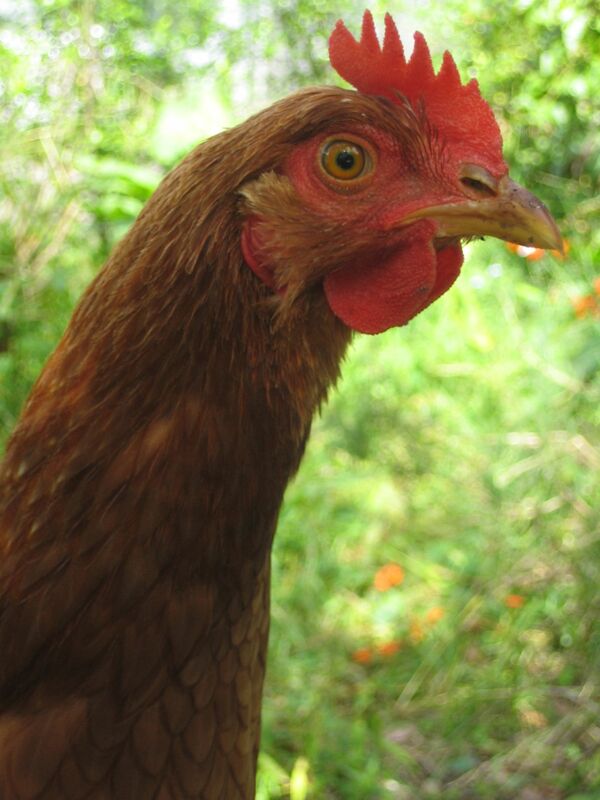 This is Cockatrice – one of our hens. She is the leader of the pack, top of the pecking order and frankly, the brains of the bunch. 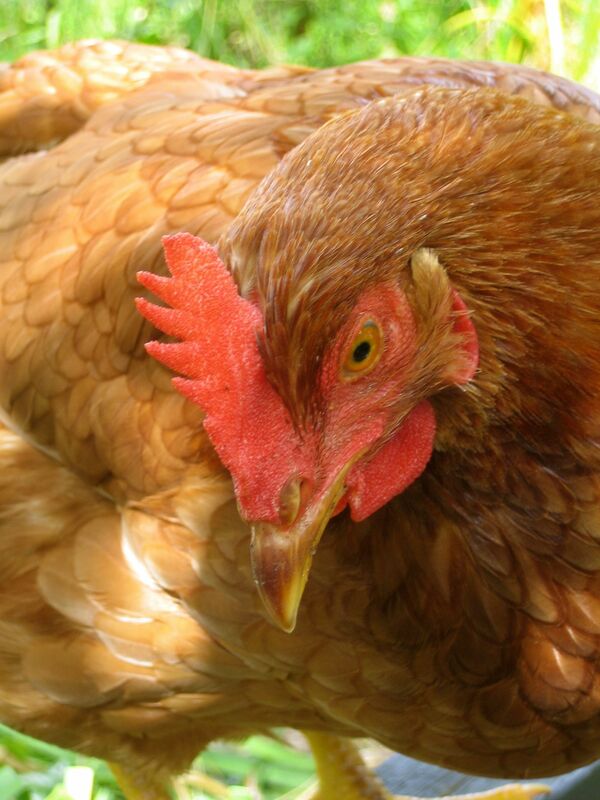 She was also a quick developer – the first to grow her full comb and to start laying eggs. Cockatrice is intelligent, adventurous, nosey and demanding. She seems to be much more aware of us and interested in interacting with us than the other three chickens. She’s one of those animals who verges on being creepy, because you feel like she is way more sentient than she should be. My hen, Harriet, and Fraser’s hen, Hildegaard are bog-standard chickens. They are cute and charming, but don’t have the personality and boundary-pushing behaviour of Cockatrice. Magnus’s hen, Syndrome (named after the baddie in the movie The Incredibles) is a silly chook. She’s not very bright. She gets stuck, gets lost and gets easily confused. I swear Cockatrice knew what I was doing when I did this photoshoot with her – she stood patiently, stock-still in various poses, like a chicken supermodel. I’m absolutely loving the chickens – they are funny, charming and hanging out with the chooks is a great way to de-stress. Nothing wrong with being a crazy chicken-lady! As a daughter of poultry farmers, I will be forever grateful for chickens. Thank you feathered friends for helping pay for my childhood! I used to spend a lot of time with my goat. I found watching a goat munching away very meditative. Animals can be very calming.